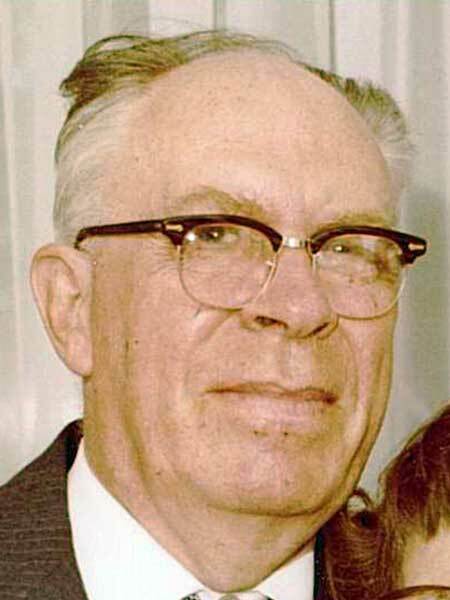 Born at Killarney on 1 July 1912, son of John Clark and Elizabeth Kerr, the family moved to Thomasberg, Ontario when he was eight and he attended high school at Tweed. He returned to Manitoba in 1930 and received BA, BEd, and MEd (1949) degrees. He taught school for 45 years, including terms at Gardenton, Zhoda, Piney, Medika, Rennie School (1944), Minitonas School (1945-1947), Benito School (1947-1949), The Pas School (1949-1952), and several Winnipeg schools. He ended his career after 15 years at Sisler High School. On 3 April 1937, he married Elsie Helena Shologin and they subsequently had five children. He died at Winnipeg on 16 March 1990 and was buried in the Killarney Cemetery. Obituary, Winnipeg Free Press, 19 March 1990, page 32. Obituary [Elsie Helen Clark], Winnipeg Free Press, 11 May 2007, page 36. We thank Yolanda Davidowich and Nathan Kramer for providing additional information used here.